The model DRI-SP-DC is a DIN rail mount, 4 to 20 mA signal splitter, with 2000 Vac isolation between input,output and power. 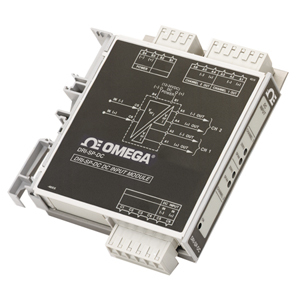 It provides two fully isolated 4 to 20 mA outputs in proportion to a single 4 to 20 mA input. Front accessed zero and span potentiometers allow 50% adjustment of offset and gain to compensate for sensor errors or signal losses. The DRI-SP-DC features plug-in screw terminals for easy installation. Two or more modules can slide together and interlock for solid, high density mounting (remove either the DIN rail foot or the adjacent unit’s faceplate, for right side or left side mounting, respectively). The module to be attached will easily slide onto the side of the mounted unit. DC input four-wire transmitters are used to isolate and convert DC signals into proportional, standard industrial control signals. Typically an industrial control system such as a DCS or PLC requires standard industrial control signals with full isolation to ensure reliable, strong signals. In most industrial process control or data acquisition applications, several different input sources from various field instruments (e.g. level, flow, pressure and position sensors), are common. Four-wire transmitters accept these field inputs and provide the controller (DCS & PLC) with the standard industrial signal it requires. The four-wire transmitter will increase the signal drive to high impedance loads and may improve resolution of the process variable. The DRI-SP-DC operates as a four-wire transmitter and derives its power from an independent, transformer isolated DC power source (10.8 to 26.4 Vdc).